With our in-depth knowledge of this domain, we are actively engaged in providing an excellent quality range of Dulevo Dry Vacuum Cleaner. 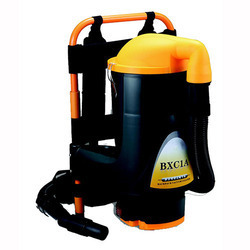 So as to overcome enormous level of customer contentment and satisfaction, we are involved in delivering Wet and Dry Vacuum Cleaner to our patrons. Power: 2000 W; Capacity: 70 L; Function : wet/dry; Voltage: 220-240 V; Colur: red, yellow, green.